Hello Spring! 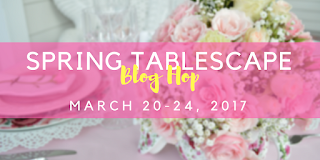 I'm joining a group of talented woman hosted by Chloe from Celebrate and Decorate for a Spring Tablescape Blog Hop.We are pairing up with 25 other bloggers and I hope that you will check all the links below.If you are a first time visitor,a special hello! Spring is officially here and I'm happy to be sharing this Pastel tablescape with you today. I began with a pale yellow table cloth and a woven rattan chargers,topped with pastel pink scalloped dinner plates.I love to use my DIY twin napkin rings to add more naturally touch to the table. I enjoyed sharing my spring tablescape with you today.I hope you all have a lovely spring and will be inspired to host a spring dinner. Thanks so much for stopping by ! I always love the comments you leave behind! Please continue the Blog Hop with bloggers listed below. What a lovely Tablescape!! The colors are so warm & inviting! So fun hopping with you today! Thank you Michelle! It was fun too! Such a pretty spring table with your lavender plates and yellow tablecloth! I love the addition of your snowdrops in jars, embellished with lace and twine. Your overhead shots of the table are wonderful for sharing how the entire table is dressed for spring! Lavender (or any shade in the purple family) always reminds me of my late mother, so I am naturally drawn to your lovely table. Happy Spring! Rita I'm happy that my table remindes you of something most precious in your life.Thank you for the beautiful words! Purple is just so pretty for Spring, and your table is beautiful! Your embellished jars with snowdrops are such a lovely accent on your gorgeous table. I have had so much fun blog hopping with you! I hope you have wonderful rest of your week!!! Thanks my sweet frind for joinning me today! I had so much fun decorating this table and bloghoping with you all.Wishing you a joyfull day! What a lovely spring table with the lavender and yellow! The snowdrops are so pretty in the small jars! It is fun to be blog hopping with you...Happy Spring! ohh I love the soft pastel shades and the contrast in textures! Just beautiful, sweet and simple, yet elegant! Love the shot from above! Thank you my friend !you are so sweet. I appreciate all your visits and comments! Love those lavender plates! The flowers are so springtime, and the whole table is fresh and lovely. Thank you so much Carole! Excited to join such a talented groups of ladies this week! I'm crazy about your snowdrops! I have a different variety but I have seen yours when I looked them up recently. They do scream spring is close by. Your china plates are lovely also. The scalloped edge with fleur de lis and swirls are so pretty and look great on your textured chargers. Lovely table. 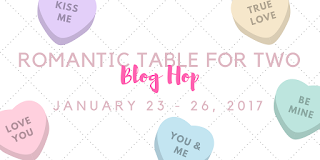 It's fun to blog hop with you this week. I enjoy your instagram. I love all those florals and these overhead shots are amazing! The colors you've chosen are just perfect for this season. I love how your overhead shots add character and depth to your table. Very pretty! Thanks so much, Sandra. Excited to blog hop with you this week! Absolutely beautiful!!!!! And the baby jars...this Salvage Sister loves!!! 😊Yes and I'm in love too with baby jars..! Thank you so much Deborah for joinning me! I love the colour combos here: they're so well thought-out. And how cute are those little floral arrangements?! The snowdrops are just beautiful and using the baby food jars as vases is just perfect! All of your pastels for Spring are the suitable choice to ring in the new season! 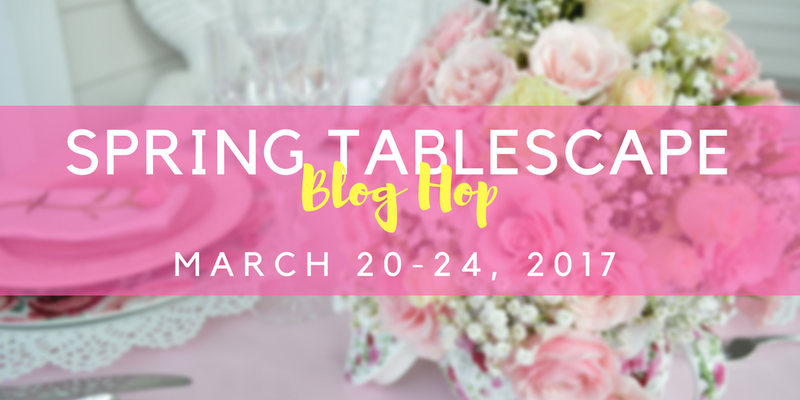 Lovely table, thank you so much for being a part of the tablescape blog hop! Chloe, thanks so much…I enjoy your blog hops and once again, thank you!I always want to put something homemade on my tables,I have baby food jars left over so I came to this idea.It was wonderful blog hopin with you ladies. What a pretty color combination. How creative to use the baby food jars ~ ultimate repurposing! The bit of lace and twine is a brilliant touch. Adds a great detail to your tablescape. those lavender plates - I love them! thank you for sharing. Thanks so much RS... Wishing you a beautiful week! I am in love with your pastel purple dishes! And you've paired them wonderfully with the yellow tablecloth and pink rose centerpiece. Love the snowdrops in the baby food jars - very clever and inspirational upcycling! Happy Spring! Thank you so much for your comments.Happy Spring! Beautiful tablescape. Loving the pretty lavender plates. Snowdrops are lovely. You have captured Spring perfectly. Happy to share in this blog hop. I love your sweet table. Lavender is my favorite color and seeing this pretty color on your table makes me smile. You have capture spring beautifully. The snowdrops are lovely. Happy Spring to you. 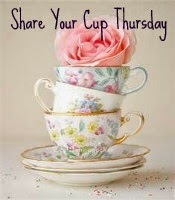 It has being great being on this blog hop with you. What a gorgeous place setting on your table the color is amazing. Such a beautiful tablescape.Have a wonderful Easter. Maria thank you so much.Wishing you a wonderful Spring! This is such a soft and beautiful color scheme. I've never seen plates that color. They are so pretty! So enjoyed your lovely Spring tablescape! The colors are so inviting and refreshing. Wonderful setting! Baby food jars! They are decorated in such festive detail. The skyview photo definitely shows off this beautiful setting. Happy Spring! This is so pretty! I really like the texture the seagrass chargers add to the dainty table settings and that centerpiece is stunning!! So pretty and romantic! Thank you for joining Home Sweet Home! Love your table. I really like the roses centerpiece. Thanks for sharing. Sylvia D.
It's my first time here: what a gorgeous table ! I will come back!Thanks for sharing!Maristella. Thank you Maristella! 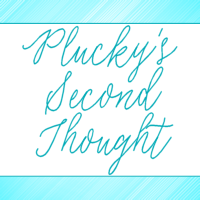 You can follow my blog for the newest posts. Wishing you a beautiful spring ! Your table is beautiful! I love the color combination. I've used the same on my Easter table. :) There's those sweet snowdrops again! Thanks for sharing with SYC.